The tale of Pocahontas, John Smith and the leader Powhatan. The story told of Pocahontas which is most famous tells about the time she saved the life of settler John Smith from her father, Powhatan. This is the story of Pocahontas, John Smith and the leader Powhatan. 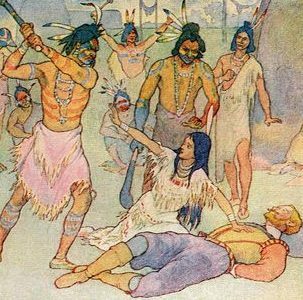 The story told of Pocahontas that is most famous tells about the time she saved the life of settler John Smith, as seen in the Disney version and in our version below. It is brought to you by Stories to Grow by.